viii. Applicants should indicate three reputable referees with their reliable contacts; ix. Certificates from foreign examination bodies for Ordinary or Advanced level education should be verified by The National Examination Council of Tanzania (NECTA) and National Council for Technical Education (NACTE); x. 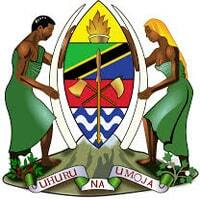 Certificates from Foreign Universities should be verified by The Tanzania Commission for Universities (TCU); xi. Applicants with special needs/case (disability) are supposed/advised to indicate; xii.